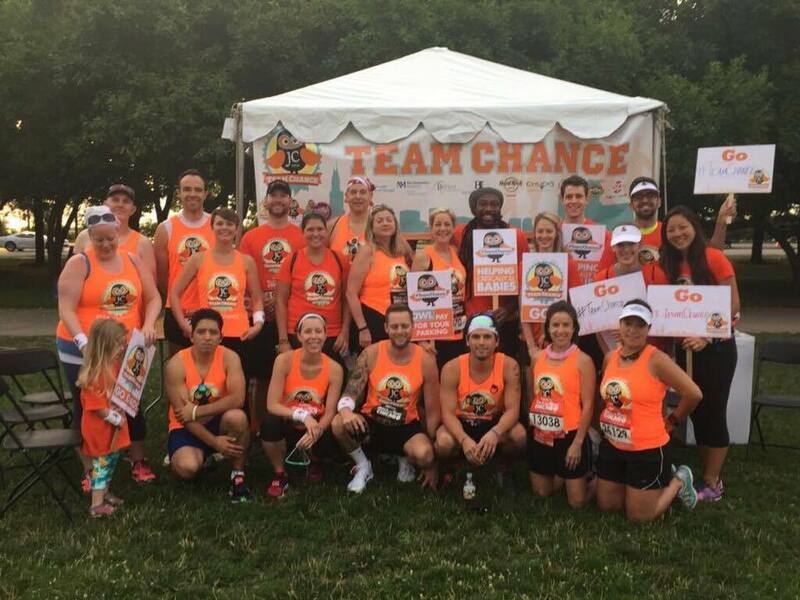 Sticking to long-term goals can be challenging, especially when one of them is to run a long distance race in all fifty states. The frenzied pace of the early years eventually stalls as other life commitments take priority. Plus, it never helps when one of your three remaining states is West Virginia. But the goal is very much alive and I fully intend on getting to that last finish line. I’m still running, but I’m no longer in perennial marathon shape. I spent the summer literally changing gears by hopping on a bike and spanning the entire state of Iowa. 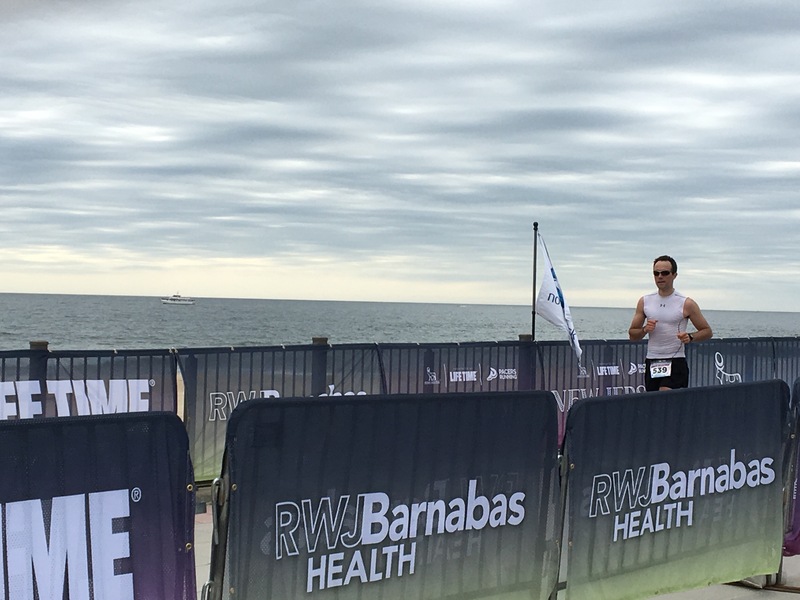 The new sport reinvigorated my love of endurance sports and pointed me toward an inevitable triathlon in the future. 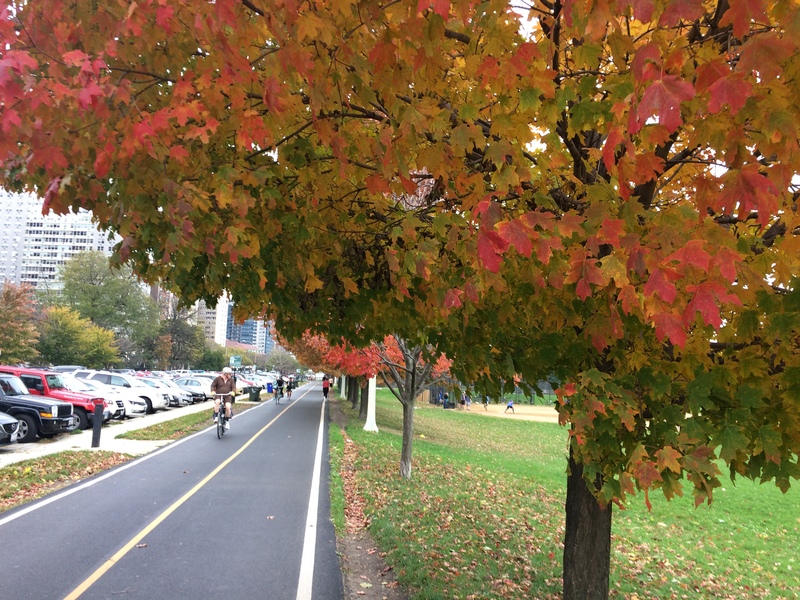 I found that biking was fun in a way that running rarely is: easy, or at least much easier. When you’re used to long runs, it’s literally a breeze to bike for an hour, or even forty miles. Just like running though, if you bike long enough, you’ll eventually meet thresholds that test your heart, legs, and lungs. But during that time, I ran several races, and one of them was a half marathon that I didn’t write about. That oversight was part of this recent decline in running-related blog output. In fact, everything is down this year: mileage, blog posts, races, and desire to get up super early before work. It has all extended the projected end of my 50-states goal. 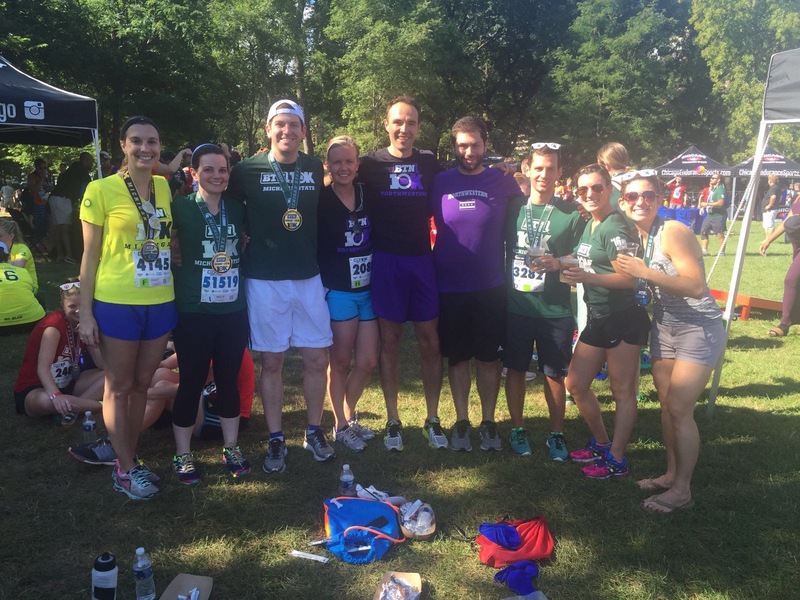 At one point, I thought I could be done by 2016, but then I got into the Berlin Marathon. Then the goal became 2018, but side quests into ultra-running and biking changed the nature of 2016 and 2017. At the moment, I don’t know when I’ll be done, even though I’m very, very close. In times like these, I can always use a good motivator, and I know just where to find it: in a map. Readers of this space know that after every new state, I update my color-coded map with a shiny new addition. It’s a giant, lumbering Photoshop file that has far too many layers for what looks like a pretty basic map. I rarely see maps like mine because not everyone has the patience or software to make one like it. But recently, RaceRaves solved that for everyone. I’ve been using and doing my best to promote the site since it launched, since I really like the interface and I’ve been friends with its creators for several years. Its functionality, interface, and commitment to the running community make it one of my favorite sites for the sport. However, their latest addition to the user experience is, for diehard runners like myself, their best so far. They make a pretty damn good map of your running adventures. Prior to this tool, map-making sites were either very rudimentary or not at all running-specific. But now thanks to the running nerds behind RaceRaves, anyone on the 50-states quest has a colorful, well-designed, and easy-to-use map of their progress. 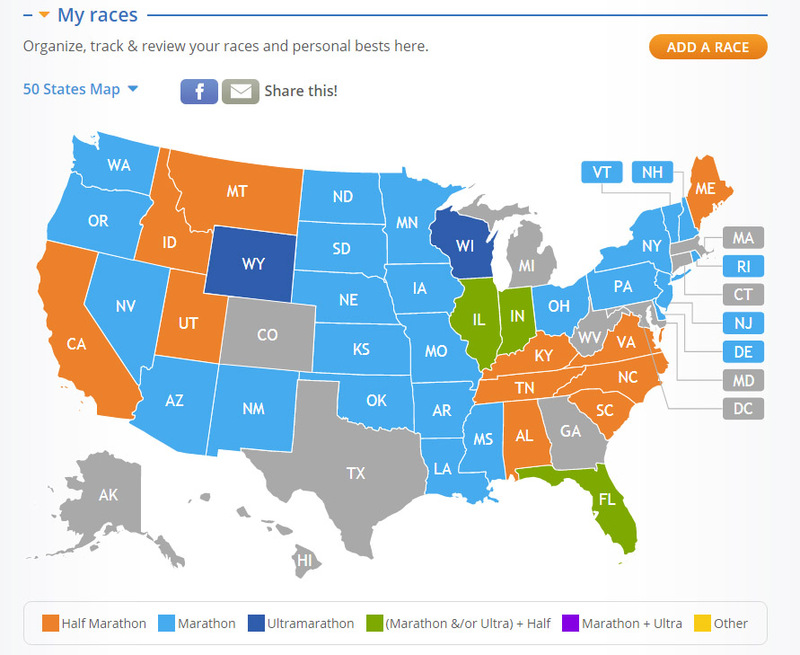 To create your own map, you list the races you’ve run, write helpful reviews of each, and watch as each state gets filled in. The map above is mine, and you’ll notice that several states aren’t filled in. This is my fault, as I haven’t reviewed all of my races on that site yet, despite earning the coveted title of Chief Lunatic. The best part is, it doesn’t require painstakingly moving layers around in Photoshop. So now I have two sources of motivational cartography, each showing me the scant real estate left to cover in my quest. But this is just me — if you want your own map, become a member (it’s free), add your completed races, and watch as the map fills in, with each new bright pop of color standing in for an accomplishment. It’s hard to PR these days. They say that you reach your peak after seven years of running. While I can’t name with any due certainty who “they” are, there seems to be widespread agreement on this theory. Something potentially stalls after seven years of consistent training and a self-propelled drive to improve. It could be aging, burnout, or the ignition of a very specific gene that targets your VO2 max with surgical precision. Regardless, this theory exists and as someone who is still very much on board with running and improving my times, I refuse to succumb to it. But despite the inspirational aphorisms to the contrary, running is very much a physical activity. After this much time, running through my late 20s and early 30s, what many scientists and laypeople alike would consider the tail end of someone’s athletic prime, my best times become harder and harder to best. So when I decided to re-focus my training in 2017 to once again try and qualify for Boston, I knew I had to do something new, something different, something that those familiar with my training habits would consider radical. I joined a running group. 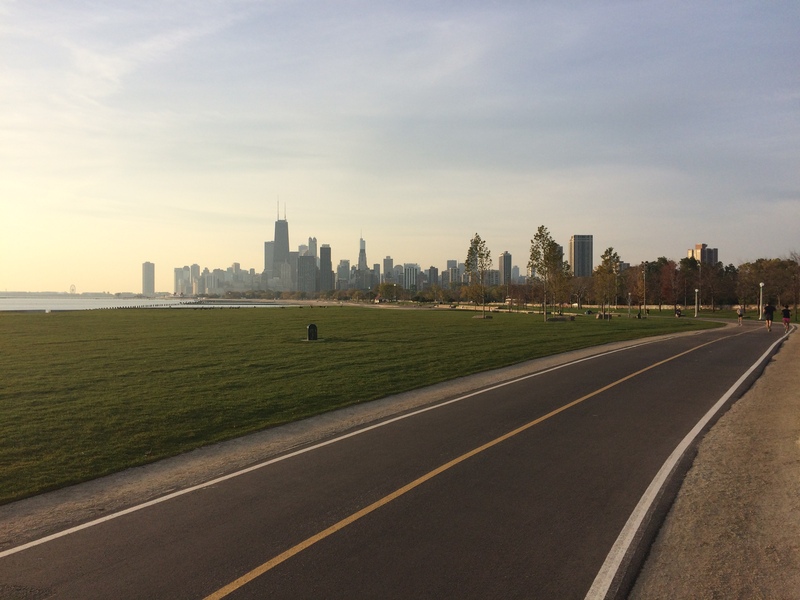 Thanks to Fleet Feet Chicago’s Boston365 running group, I honed my speed like I never had before. 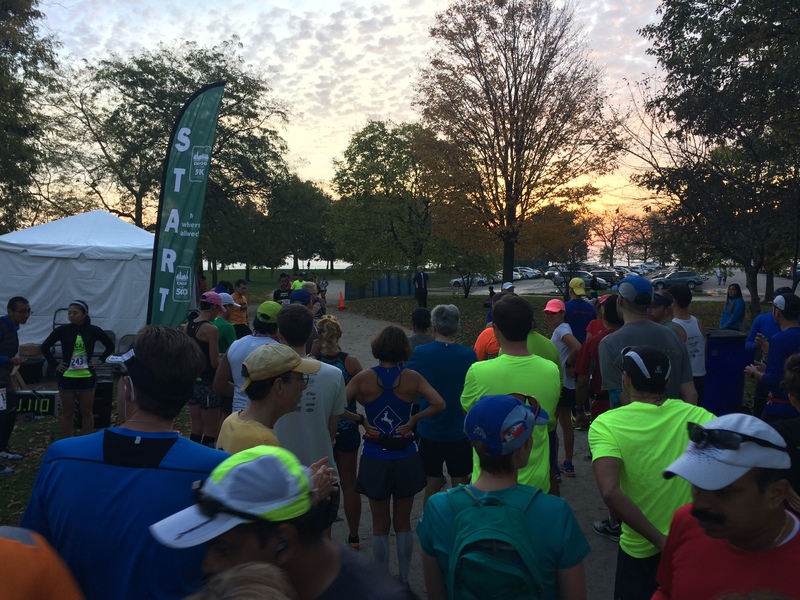 We would gather on Wednesday nights in the parking lot of Lincoln Park Zoo, rocketing through intervals in dense pelotons, and reconvene in the hilly suburb of Barrington on Saturday mornings for long runs. As the weeks went on, I expanded my comfort level with explosive speed, setting an aggressive PR at the 8k distance in late March. But I wasn’t quite enjoying the same surge in improvement with long runs. Everyone in the group was training either for the Boston Marathon or another race held shortly after. 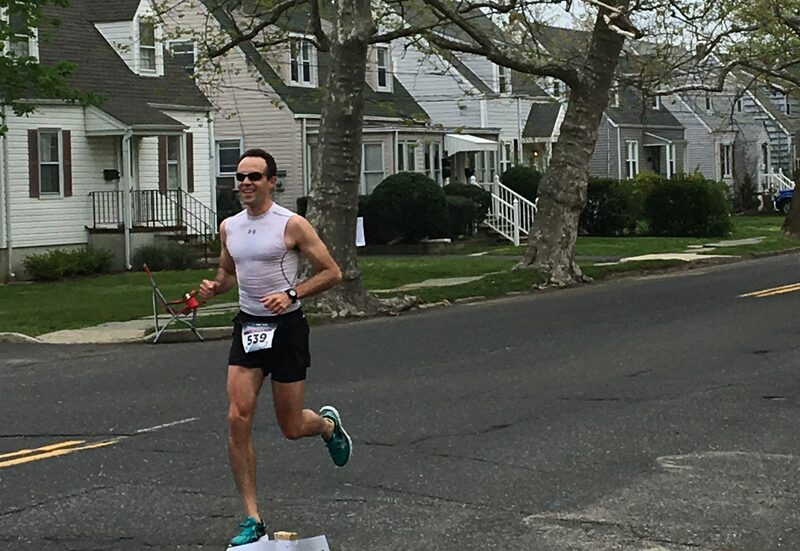 I had chosen the New Jersey Marathon in Oceanport as my spring race, the event that was going to bear the brunt of all my training. It not only takes place in a state I have yet to run, but I quickly learned that it is considered one of the flattest races in the country. 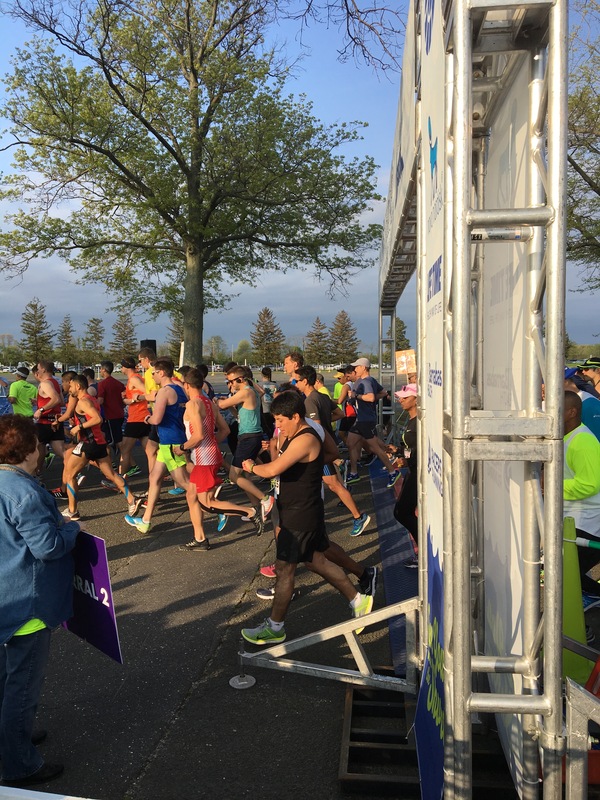 The race began on the grounds of a raceway in Long Branch, a few miles west of the coastal town of Oceanport. Shaking off my last minute nerves, I put on my sunglasses to block the eastward breeze keeping us cool. It was game time. I had put in four months of solid, uninterrupted training for this race, each of which broke that month’s mileage record. 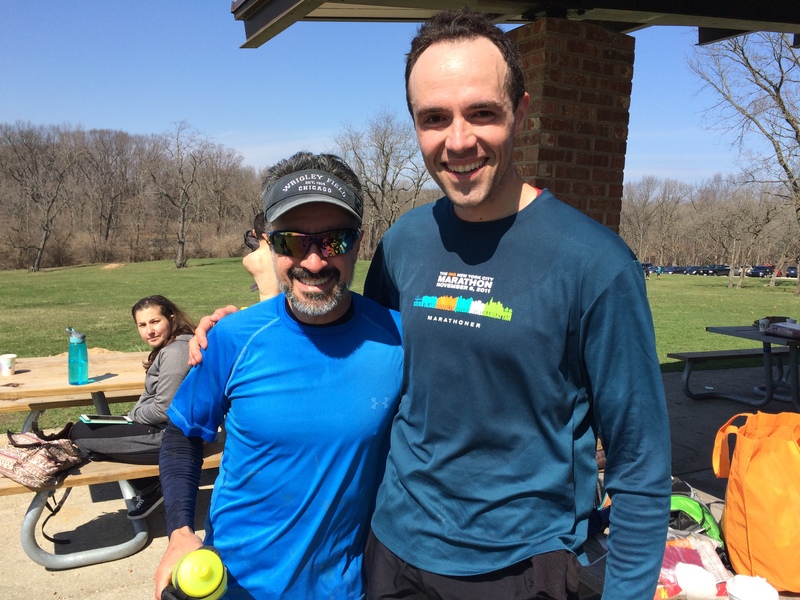 I had run 50% more miles leading up to his race than in the same time period before my standing marathon PR. I had masterfully eaten a reliable stream of carbs in the three days prior and hadn’t even sipped a beer in ten days. So it was with great confidence that I knew literally anything was possible. Anyone who has ever run a marathon will tell you that nothing is guaranteed. The distance is so long that it gives ample opportunity for anything to happen. If you start too fast in a 5k, you will probably only suffer for one mile, and even then the decay won’t be as pronounced. If you overdo it in a half marathon, you might not know it until mile 9. But over the course of 26.2, you could be riding high for 15 miles before you even get a hint that this glory chase is actually a fool’s errand. And that is mostly what happened to me. When you’re trying to qualify for Boston at my age, you have to run a marathon in about 3 hours, 8 minutes. That, therefore, requires that you pass the half marathon mark in about an hour and thirty-four minutes. 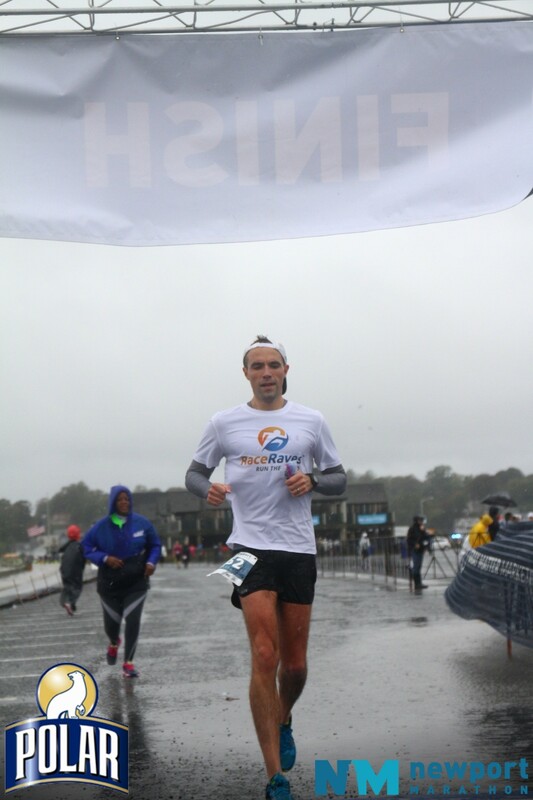 Thanks to gray skies and a cooling sea breeze, I was able to confidently run the first half of this race about a minute slower. 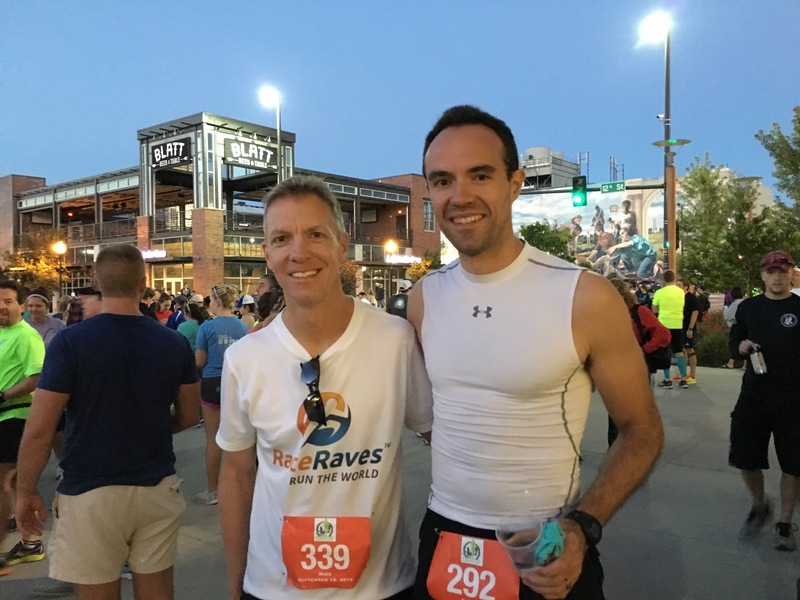 Many times during that first half, I evaluated my form, my breathing, my turnover, and cadence, feeling emboldened by how easy it felt to carry a 7:09 pace this far into a race. Two miles later, I got the first indication that this wasn’t my day. 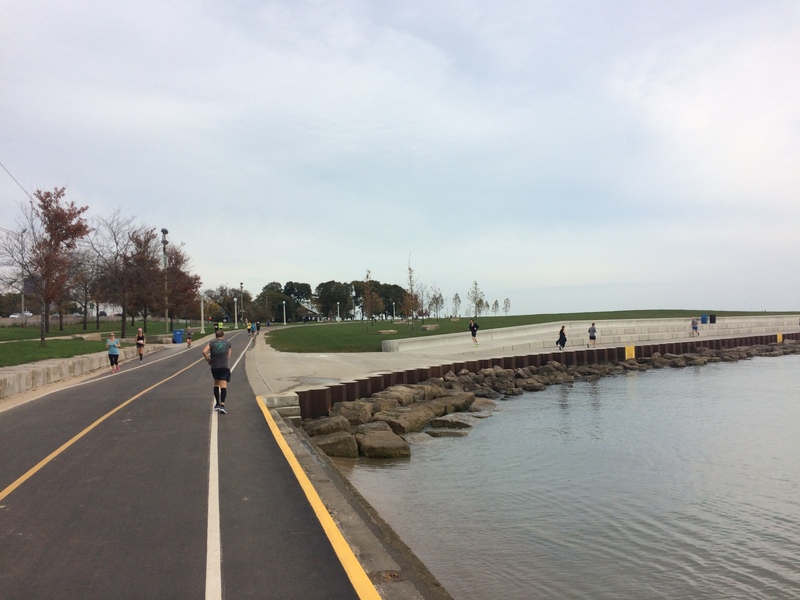 As I ran through black asphalt ocean-side neighborhoods, I glanced at my watch and saw that my pace was ten seconds slower than my target pace. That would normally not be an issue were it not for the noticeable uptick in perceived effort. This early in the race, I knew there was no way I could keep up the pace. Had this slowdown happened after mile 23, I could dig deep into my grab-bag of clichés and save the day. But at mile 15 you’re not even past the psychological halfway mark. I was therefore faced with that frustrating decision: do I keep going as fast as I can, whatever that pace may be, and dip my attitude into a vat of acid for the rest of the race, or force myself to slow down gradually, at my own pace, and still somehow enjoy the experience? 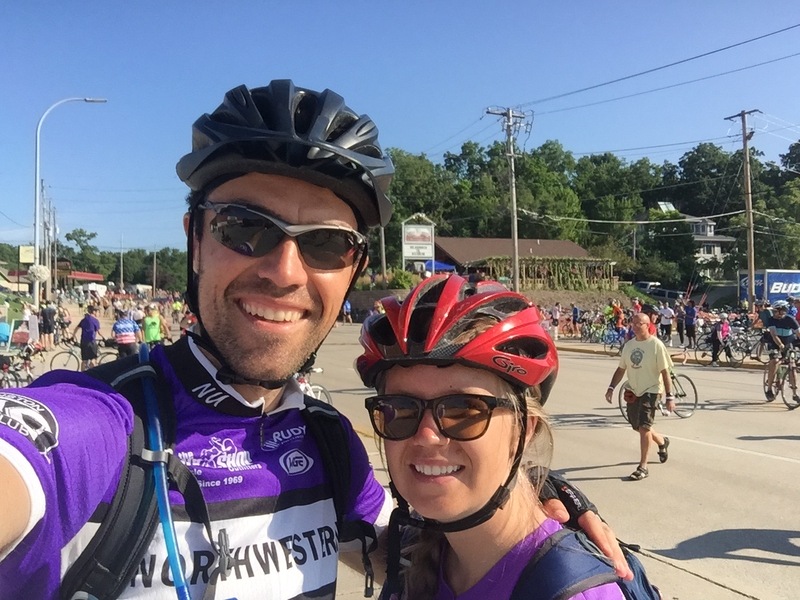 Salvaging the race and finishing with a semblance of a smile felt like the better option. I know what it’s like to snarl through the second half to finish with an unimpressive time. It shines a pool of light on the decision some elites make to simply drop out of a race around 30k rather than finish. If you’ve been training for months to murder your PR and you can tell this early that it’s not going to happen, what is the real reason to fight against the strain? The only real reason was simply because! Life is for the living! Leave it all on the field! Nut up or shut up! But you can’t make that decision until you’re actually running the race and can feel the blood pounding in your head and lungs, realizing that every mile will only get worse if you continue to resist the ever mounting weight in your legs. 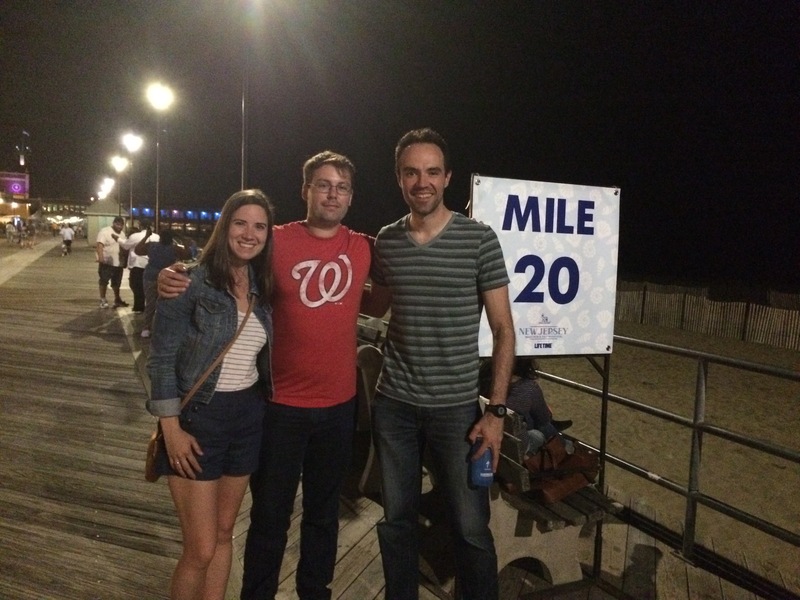 When you’ve run 36 marathons, you learn to take these days in stride, pun fully intended. All of this is to say, I took it easy in the second half despite running smoothly through the race’s early miles. 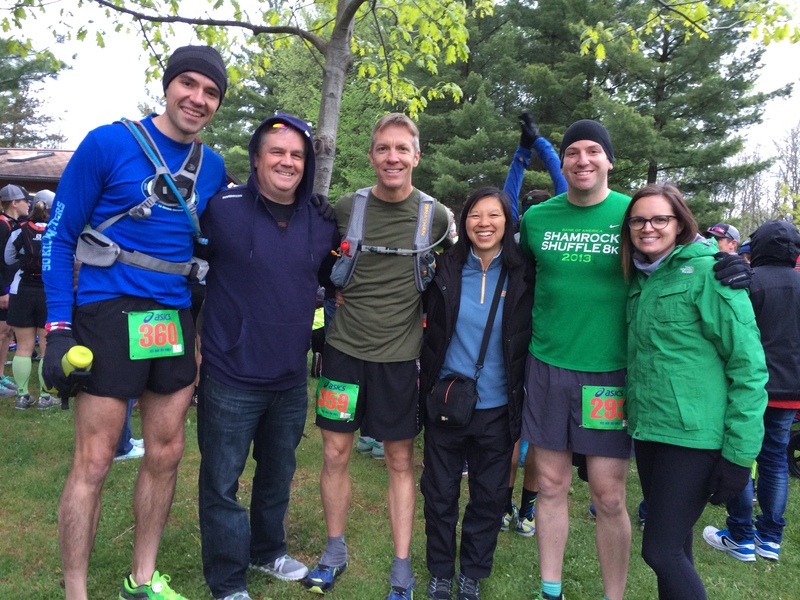 It seemed that my group runs had imbued me with great speed but not with the necessary endurance to keep it going. Moving forward I might try and break one of the foundational rules of long-distance training, and actually run some of my longer distances at race pace, rather than just the last few miles. My subpar performance in New Jersey (a 3:41 for those who care) hasn’t killed the quest to BQ, just delayed it until the fall. As for the race itself, I really enjoyed it. It was easily one of the flattest courses I’ve ever run, especially the second half. 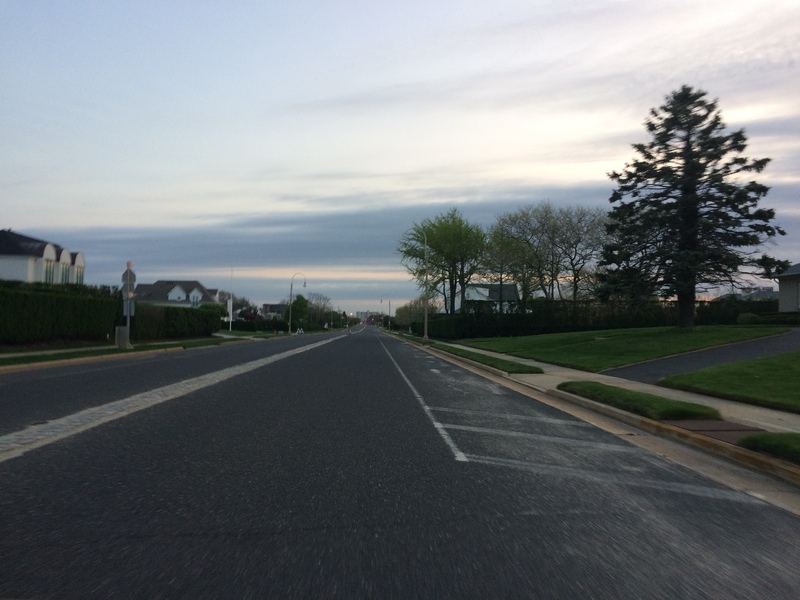 What begins in tree-lined residential neighborhoods on wide roads eventually became a tour of New Jersey’s many seaside communities, from Long Branch to Asbury Park, Allenhurst, and Monmouth Beach. Several miles were run on dew-soaked wooden planks, which felt elastic after seventeen miles of black asphalt. 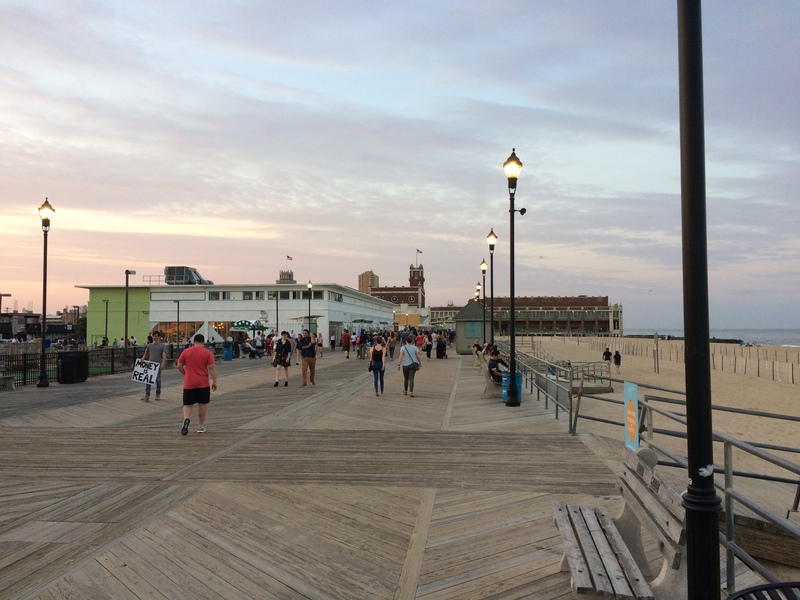 The smells of sea salt mixed with cotton candy as runners passed through each new community, the crowds lining the shore growing as the miles ticked up. With state 47 behind me, I have just West Virginia, Alaska, and Hawaii to visit to bring my 50 states journey to a provisional close. In between now and then, I’m letting myself be lured down a new path, one with its own language, maps, and cultures, not only to explore uncharted terrain but to reignite the flame of athletic discovery and re-draw at further distances the lines that we call our limits. After the quantum success of 2015, it was only natural to expect some sort of reversion. Statisticians call it “reverting to the mean.” It’s like how the tallest male in a family is unlikely to have children taller than him because he is an outlier, or how some sports teams are unlikely to follow up a surprise victory with a repeat performance. Last year saw exponential improvement, which meant a slew of brand new PRs. Almost as if to tamper my own expectations from the beginning, because deep down I knew I’d risk breaking myself to improve on 2015’s vast strides, I determined that 2016 would change the course of my running path from speed to endurance. 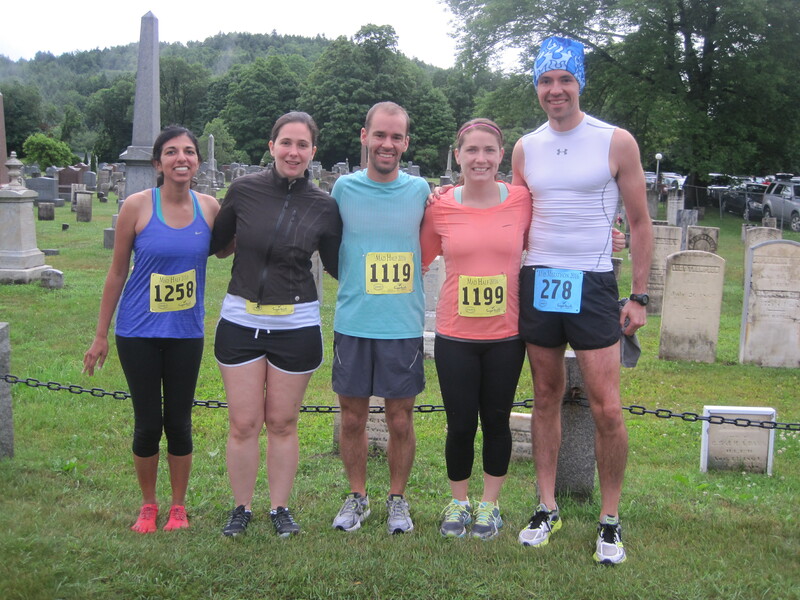 The year began with a monster goal: to finally vindicate my only DNF by finishing a 50-mile trail race. Three years earlier, I dropped out of my first ever attempt thanks to a last-minute injury. Although it’s melodramatic to say I’ve been “haunted” by that failure, it has lurked quietly in my mind, like a flickering light that’s too high to fix. Wanting to earn the title of ultrarunner once and for all, I felt determined to attack this challenge, throw everything I had at it in an unrelenting pursuit of glory. The problem with that path is that it leads to an unsurprising pit of injuries. Despite my excitement and alacrity, by the first day of March, the walls echoed my curses every time I got out of bed to shower or stood up at my work desk. My right IT band was not happy with my reckless ramp-up to ultra distances and it took me two whole months to get back to normal. Unfortunately, that brought me just shy of ten days before the big day. Whatever bad luck I suffered leading up to the Ice Age Trail 50-Miler, it fell prey to ten straight hours of pure running magic. I ran comfortably, through fields, over coiled roots, and up the dirt face of more than one bluff to finally conquer the distance. At no point in the race did I feel remotely fatigued or defeated, and I had the perfect 45-degree temperatures to thank for it. The day’s constant chill was unusual, as if trapped by a giant, glass dome. This was the race of 2016. Even if the rest of the year I had fallen completely apart and stopped running altogether, I would remember it for this one accomplishment. Upon crossing the finish line, for better or worse, I felt invincible. Longer distances were no longer as intimidating as they were that morning. The selective amnesia that plagues most runners was strong, and for several weeks, I was considering events I had previously thought crazy. The glow of May was so strong that the rest of the year felt like it was in its shadow. From the highest high I plummeted to new lows in Omaha, where I went from 8-minute miles to walking around mile 18. Dehydration, sunburn, and a subpar summer training plan had spelled doom for me in the Cornhusker State. 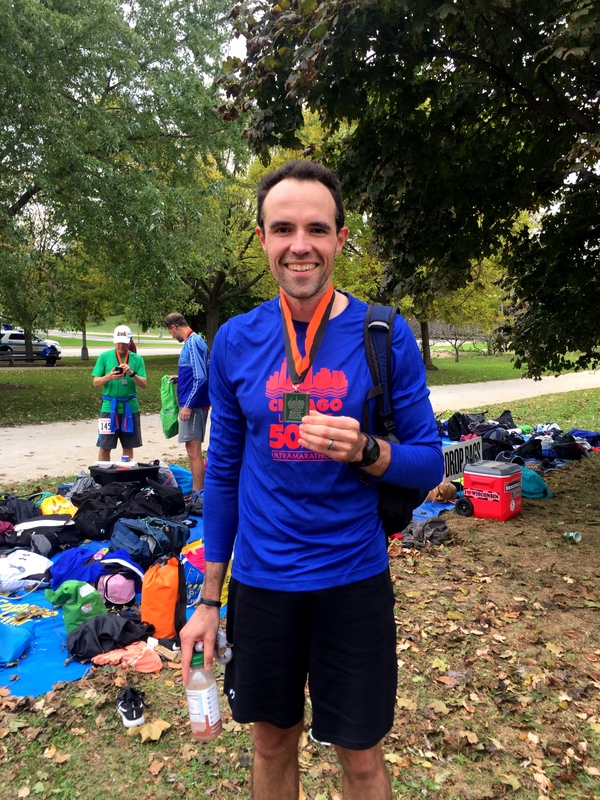 After years of running marathons, I had an insouciant expectation that I would simply finish, no problem, maybe even under 3 hours and 30 minutes. Wait ‘till you get older. The confidence that I had carried with me all year had faded with these two performances. On paper, they made sense. Last year, I was focused and disciplined. Every workout was aimed directly at Berlin. Weekly workouts were tailored with specific goals, months had overarching purpose, and each season was part of a carefully calculated regimen. Like a transparent, steampunk machine, my program was chiseled and welded to (near) perfection. After washing off the salt from my trail-worn legs, 2016 lost its compass. My only real goal was to add more states to the map. 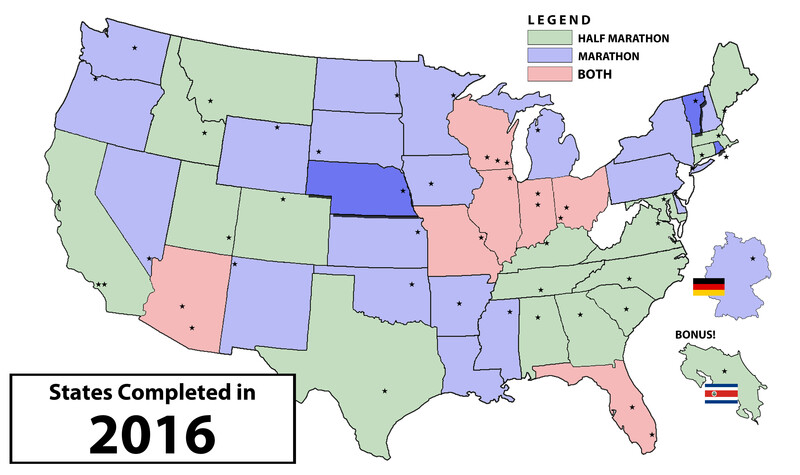 In previous years, I’ve used races in new states as milestones en route to a time goal. But without a time goal, I lacked the motivation to wake up early to run before work, or to push the pace during long runs. 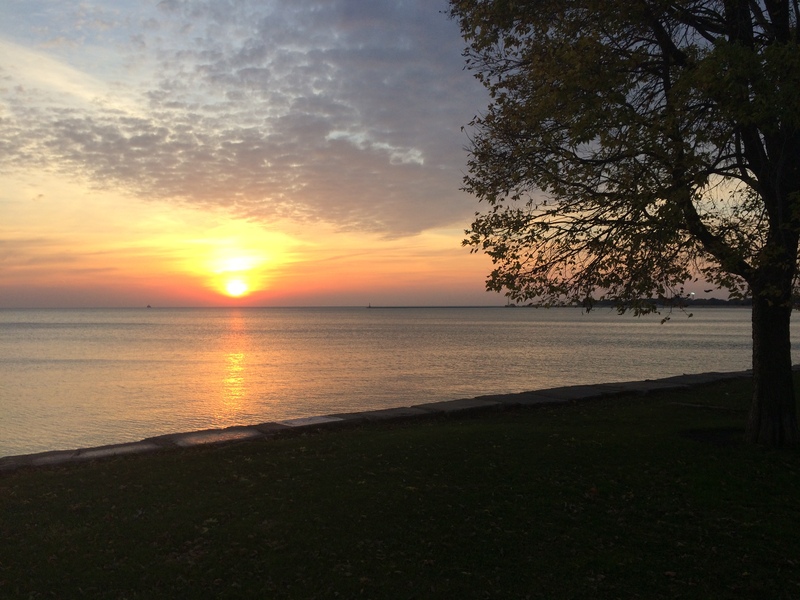 Running became perfunctory, something I did out of obligation; something I had to do, not something I wanted to do. But then I ran a 50k on a whim. I hadn’t put in the necessary training, but I signed up anyway. As if to close the year how it began, the race took place in perfect running conditions and I ran up and down the path three times, strong and confident. I was back in a warm, happy place, letting my legs do the work, air rushing through my lungs, surrounded by equally driven people. As I look forward to 2017, I have decided to pursue another unfulfilled challenge: to qualify for the Boston Marathon. I tried to achieve a fast time in Berlin in 2015, but I was unable to make it happen. 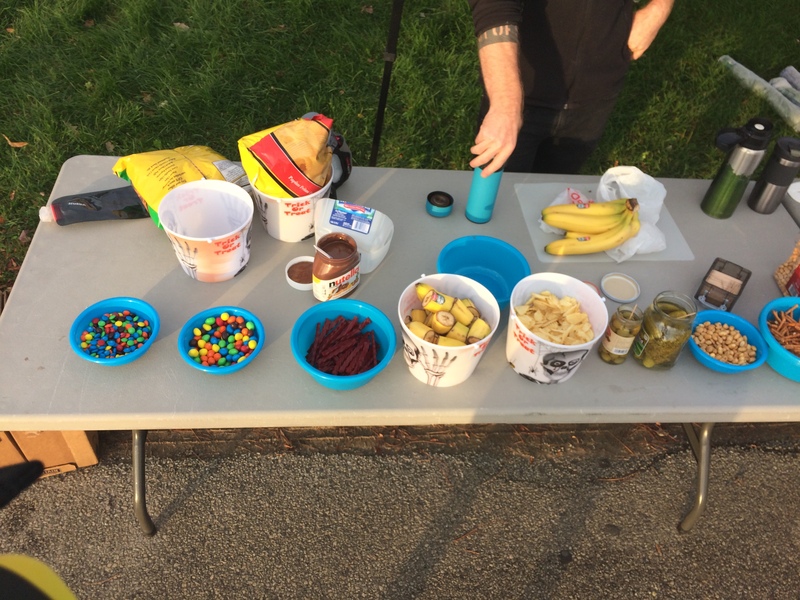 I’ve signed up for a weekly training group whose sole purpose is to earn that envious time, which is a big step for someone who uses running as a means to disconnect from the world. My hope is that it will reinvigorate my drive to improve my running times, and at the very least, allow me to post a competitive time this spring. It becomes more obvious as I think about it, but maybe adding a group component to my training is exactly what I need now. After hitting the paths solo for almost eight years, I’ve reached another dreaded plateau. My 1:29 half marathon PR is two and a half years old, and it will be two years this May that I ran my 3:16 PR in Fargo. I don’t expect to improve my times every year, but as I write this, I’m not remotely close to either mark. But though I enjoy the physical act of running, the community is what keeps me connected to the sport. So perhaps it’s time I actually run with people without bibs. My enthusiasm, of course, is not enough to inoculate me against injury or my own bullheaded drive for improvement. Every year that passes is a year of experience – wait ‘till you get older – and a year of surprises, good and bad. And with each surprise is a new lesson learned, a new toolkit for solving problems. I just need to stay focused and committed. If you’re reading this, I want to thank you for humoring me every so often as I try and translate my passion into writing. If we’ve run together, read each other’s stories, or have yet to share the path ahead, I hope you chase exciting goals in 2017 in and out of running shoes. This sport, and so many others, affords us the opportunity to be together and to improve ourselves. With the world quickly drawing ugly lines between us, we need to embrace every friendly gathering and strive to help everyone reach their own finish lines. Onwards to another year, one foot in front of the other.